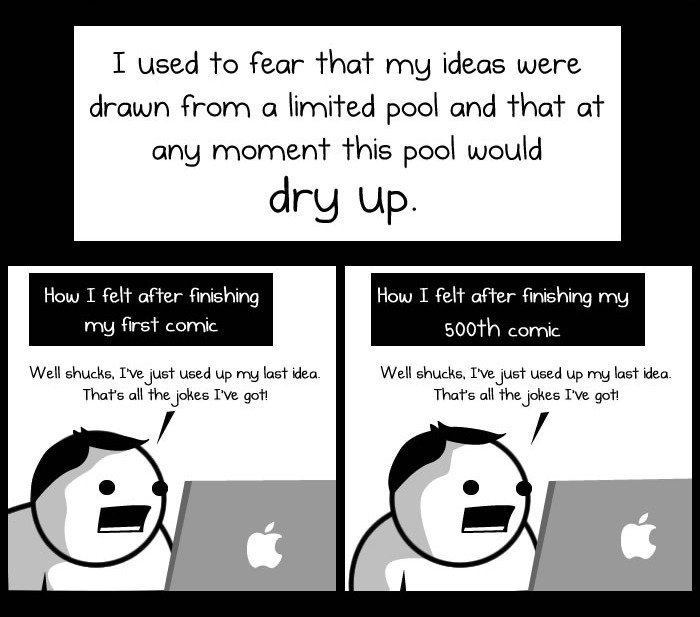 I came across this brilliant comic on The Oatmeal, an entertainment site full of comics, quizzes, and other delights. 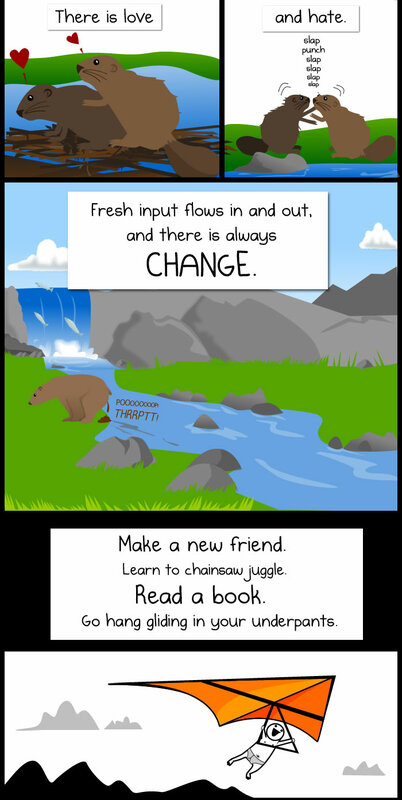 The comic is about ‘Some thoughts and musings about making things for the web‘. It’s a great read about motivation, self-doubt, inspiration and the power of destructive feedback. 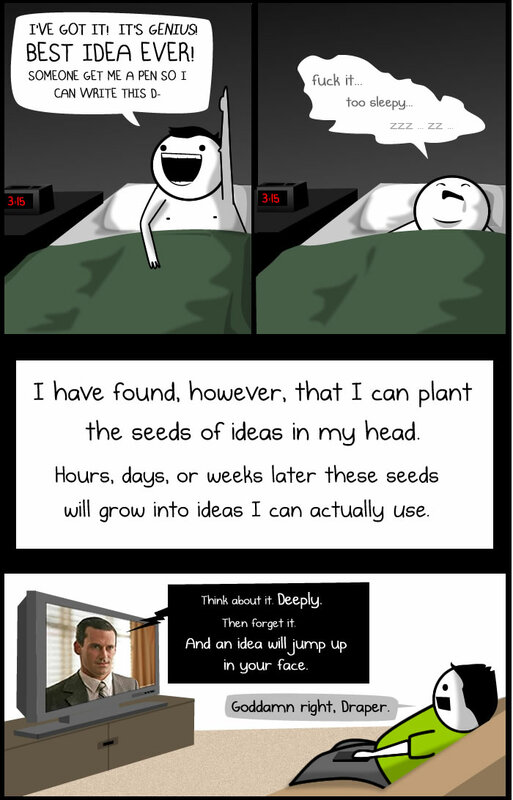 I particularly enjoyed this snippet about inspiration and idea generation so just had to share with my lovely readers. You can see the comic in full here. Meanwhile I’m off to go hang gliding in my underwear. → Art in a frame is like an eagle in a birdcage. ← ITV’s New Chameleon-Like Logo.